What does the future hold for life expectancy? 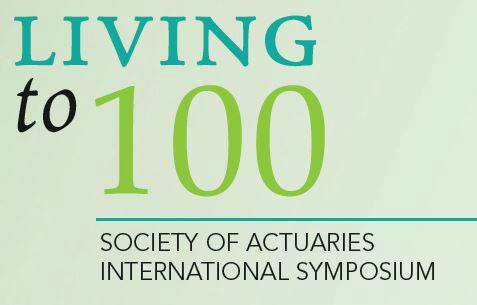 During the upcoming January 8-10 Society of Actuaries' Living to 100 Symposium in Orlando, prominent actuaries from the UK, the US, and Canada will examine mortality projections from a social security perspective. Adrian Gallop of the UK Government Actuary’s Department and responsible for Pensions policy, Demography and Statistics, will talk about past, present and future trends of UK mortality. Stephen C. Goss, Chief Actuary of the Social Security Administration, will provide an update on mortality projections and related issues with respect to the U.S. Social Security program. Jean Claude Menard, Chief Actuary of the Office of Superintendent of Financial Institutions, will discuss the development of mortality estimates used in Canada Pension Plan projections. Mortality is a fundamental and vitally important element in the development of projections of the finances of social security programs around the world. These actuaries will discuss some of the key factors and issues associated with these projections. Improving mortality has and will have a significant impact on the affordability and importance of income through retirement in these countries. Some of the issues that will be discussed throughout the symposium include will historical mortality improvement trends continue in light of the increasing number of those who are obese and increasing numbers with Alzheimer’s? What will be the financial impact to society of the growing number of elderly and what challenges and opportunities will result? The fifth in a series, this international symposium is expected to be the best yet. It will have more featured speakers and networking opportunities than in the past, as well as panel discussions on the implications of aging and the applications of mortality modeling.